When applying for a vehicle finance plan, the terms of the contract may become confusing at times. 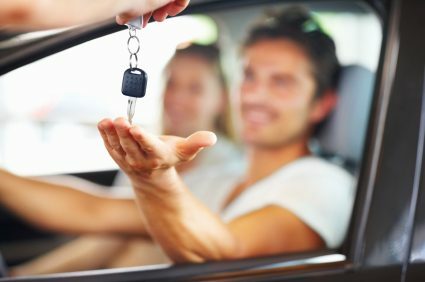 After deciding which company to purchase your car from, and finally being cleared after the detailed look at your credit record, you look at your car financing agreement. The terminology might not always make sense and that is where you might pay for something that you do not fully understand. Additional Products or Services – Examples for these products or services is vehicle insurance, vehicle protection or service contracts. Amount financed – This is the amount of money in rand that is credited to you. Assignee – This is the institution, such as a bank, that buys the contract between you and the finance company. Down payment – This is the amount of money you initially ay to reduce your monthly instalment. Repossession – If you are not able to make your monthly payments, the company has the authority to take back your car, unless you pay a negotiated amount of money to retrieve it. Fixed Rate Financing – The rate at which the car is financed stays the same until the contract has expired. Extended Service Contract – This is additional cover for any components that you would like to add to the car such as rims or a sound system. Earn-A-Car will help you get the best possible vehicle finance deal without any strings attached. If you have a bad credit record, you need not worry. We will still help you get the car you want. All we need from you is your ID and personal details, bank statements, proof of income and address as well as your driver’s license. Contact us today to get the best vehicle finance deals in South Africa without any strings attached.